One of the great things about stopping smoking is that you experience immediate and significant benefits. 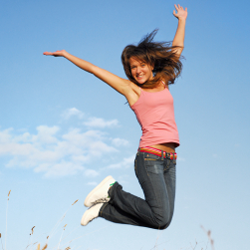 Within a few hours, you start feeling healthier, younger, fitter, more attractive and more energetic. And, of course, your breath, hair and skin smells better and fresher. What happens to your body when you stop smoking? How quickly does it take to repair the damage from smoking? 15 years: Risk of heart attack falls to same as someone who has never smoked. You can significantly reduce your chances of becoming seriously ill through smoking damage. The sooner you can stop smoking, the quicker you start to repair the damage and start feeling healthier. If you are serious about stopping smoking, and want the fastest and most comfortable way to quit, advanced stop smoking hypnotherapy could be the solution you’ve been looking for. Using advanced hypnotherapy techniques, the part in your subconscious mind where the desire to smoke is stored can be accessed, and changed so that satisfaction you now get from smoking is channelled in a more positive, healthier and beneficial way. With the correct techniques, expertly applied, the majority of committed clients can stop smoking within just one hour of very concentrated therapy. Are committed to quitting smoking yet? Are you read to free yourself from the dangers associated with continuing to smoke? 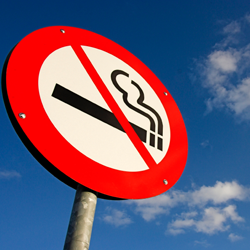 Find out more about how our advanced stop smoking hypnotherapy programme could help you. Contact Katie Glen or 020 8712 5981 today and find out more or to book your appointment.